with. They probably won't be updated unless I switch off of i3. 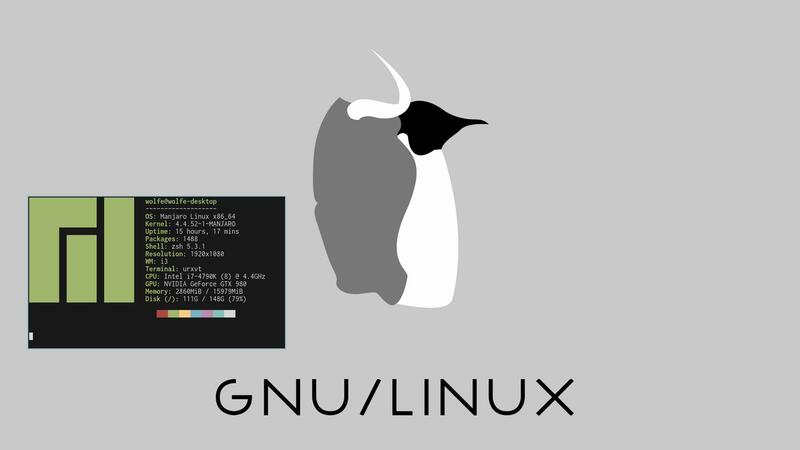 My dotfiles are managed using GNU Stow. This makes it easy to add and remove modules (and their symbolic links). This one line will clone my dotfiles and begin the installer. If you don't want to use the one liner or the install script. You can install each module individually using stow [name] as shown below. This allows you to only use the modules that you want. I don't need much out of a window window manager and I want to think about window management as little a possible while using my computer. I've found i3 accomplishes this very well. Most of the time I have one window per workspace however 2-3 windows is not entirely uncommon. My preffered shell is zsh. My customization isn't anything insanely intricate but it's functional and I find it comfy. I ssh a fair amount and I find that having the user and host always visible is very handy. The exit code and time aren't used as much but they're out of my way on the right side and they're handy every now and then. Personally I love the syntax highlighting it helps me visually parse the command much more easily. 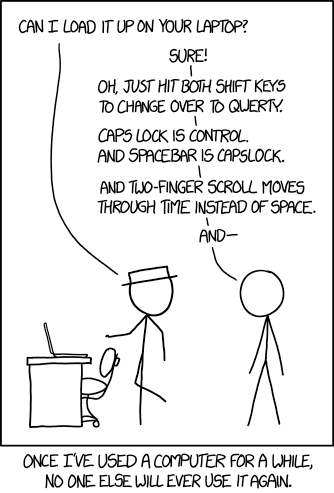 For all intents and purposes emacs might as well be my operating system. My emacs configuration is completely literate and can be viewed at it's documentation or in this repo. 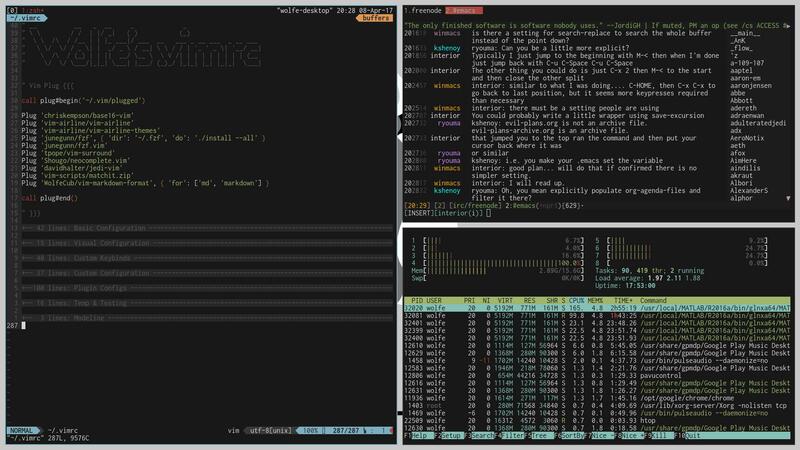 I use emacs for programming, writing, emails, calandar/TODOs, presentations, IRC and more. 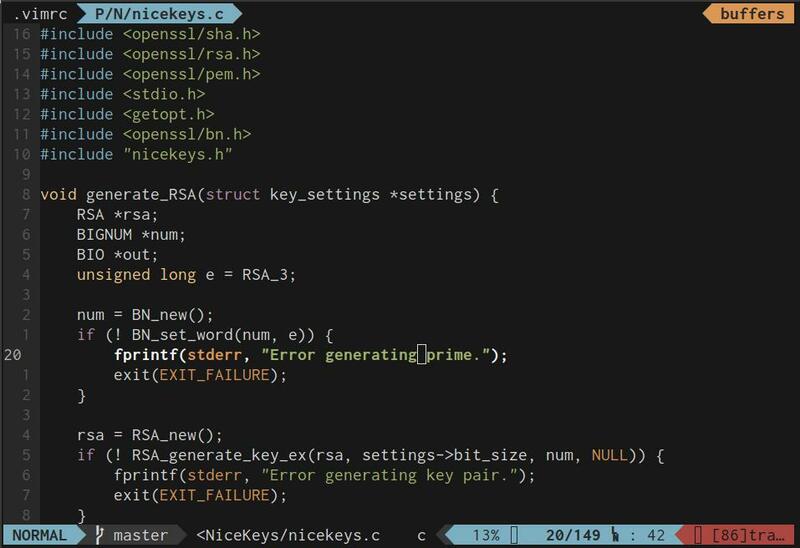 As wonderful as emacs is my configuration is highly customized and stock emacs doesn't cut it for me. On remote systems or when quickly editing configs vim is the way to go. 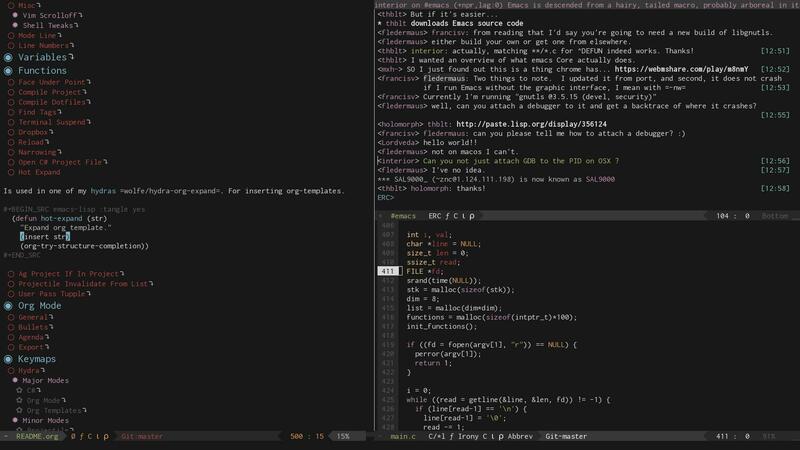 My vim config is pretty minimal but it's very comfortable.